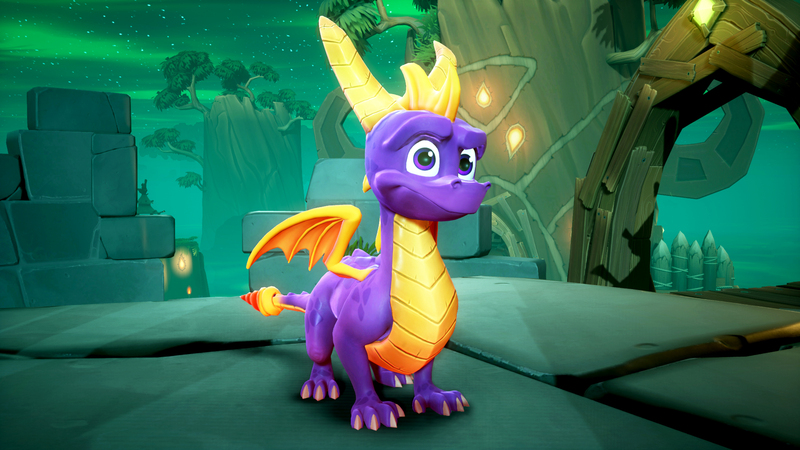 It’s the news that all fans of the Spyro Reignited Trilogy were hoping would be confirmed sooner or later. You’ll be able to swap between original and remastered soundtracks when the game launches on September 21. If that isn’t enough, the previous picture pointing towards Stewart Copeland playing a part in composing music for the game has rung true, with The Police drummer even creating a new main theme for the trilogy. This was all revealed during Thursday’s San Diego Comic-Con 2018 Spyro panel as gameplay of Spyro 2 level Hurricos was shown overlaid with first the Reignited soundtrack, and then the Stewart Copeland original piece. Both are just as catchy, but those who have caught the nostalgia bug may lean towards the tried-and-tested classics. It may be a feature deemed positively pointless by some but, for many fans of the Spyro Reignited Trilogy, it’s going to be the little things that count. So, when you have the choice between a toe-tapping pair of soundtracks, you’ll be able to switch over on the fly, presumably through the game’s menu or at the touch of a button (Editor’s Note: It was confirmed in a press release that this will be done through the options menu). Me? I’m going to stick with the originals, but I’d love to know which of you will be going full steam ahead on listening to the new soundtrack throughout. Speaking of which,ou can even get a snippet of the main theme down below.